RUN! Lowest price of the season! 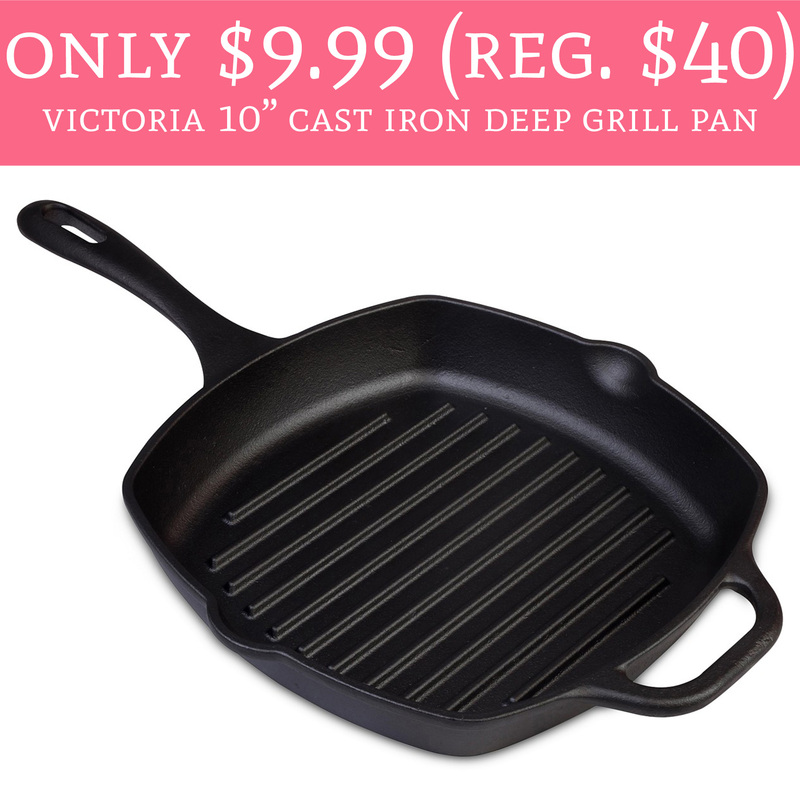 Hurry over to Macy’s.com where you can score the Victoria 10″ Cast Iron Deep Grill Pan for just $9.99 (Regular $40). The cast iron pan is currently on sale for just $19.99 and receive a $10 mail-in-rebate making them just $9.99. Choose pick up in store to avoid shipping fees or shipping is free with a $48 or more purchase. Order yours here!